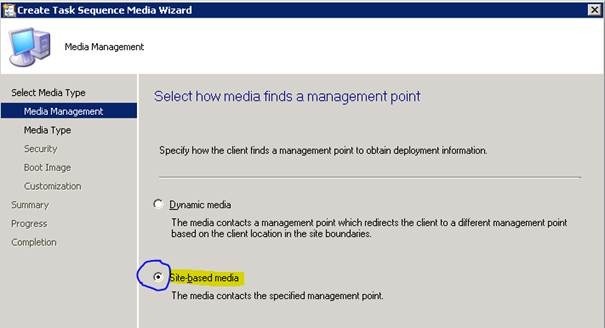 In the SCCM Console, the wizard to create the boot medium will give you the possibility to create a „Dynamic Media“ or a „Site-based media“. Choose “Site-based-media”, then you will not have the problem with the client name. As described in a eralier blog, in SCCM 2012 you have the possibility to set different client settings for every collection (before it was a setting on the primary sites ). But how it works?